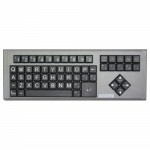 The Ablenet large print keyboards have been designed specifically for those with conditions tha.. 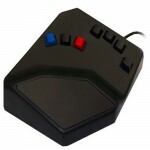 The BAT Keyboard is a one-handed, compact input device that replicates all the functions of a f.. 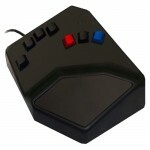 The BigBlu KinderBoard is a bluetooth large-key keyboard. 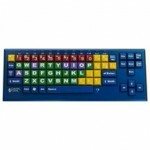 The large 1" keys are color coded to .. 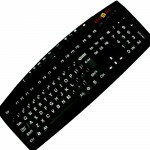 The BigBlu VisionBoard is a bluetooth large-key keyboard. 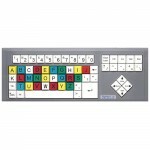 The large 1" white keys feature bold .. 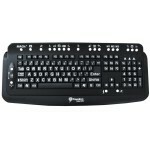 The BigKeys LX Black is a standard size QWERTY keyboard with 1-inch square keys. This Prod.. 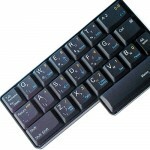 The BigKeys LX Color is a standard size ABC keyboard with 1-inch square keys. This Product.. 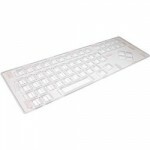 The BigKeys LX Keyguards are made of clear, rigid, break-resistant plastic. The keyguard attac.. 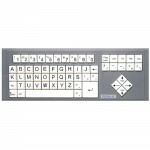 The BigKeys LX White is a standard size QWERTY keyboard with 1-inch square keys. This Product .. 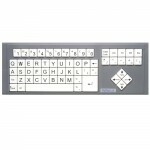 This BigKeys LX White is a standard size ABC keyboard with 1-inch square keys. This Produc.. 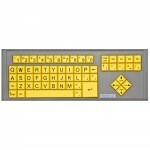 The BigKeys LX Yellow is a standard size QWERTY keyboard with 1-inch square keys. This Pro.. 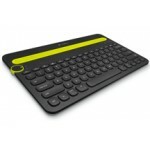 The Logitech Bluetooth Multi-Device Keyboard is a universal keyboard that supports Windows, Mac.. 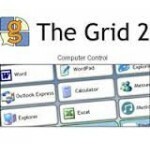 The Grid 2 replaces a keyboard, so that students can type i.. 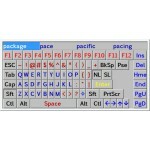 The Half Keyboard is a one-handed version of the standard desktop keyboard. 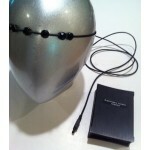 It uses laptop-styl.. 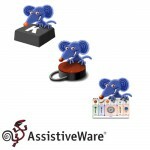 The new iAdapter Bundle kit is fully compatible with the iPad 2, iPad 3 and the new iPad with .. 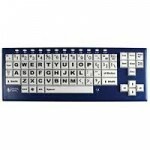 The MAGic Large Print Keyboard provides low vision users with an easy-to-read keyboard with 22 ..
SoftType is an on-screen keyboard that makes using a mouse ..